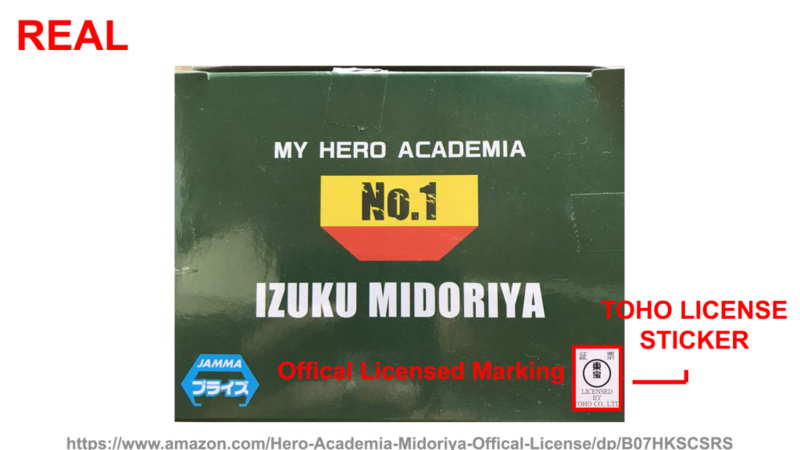 As a boy who likes taking down notes of superheroes, Izuku Midoriya himself doesn’t have any sort of powers. Humankind did not expect this indefinite occurrence since somehow, the race itself had evolved. 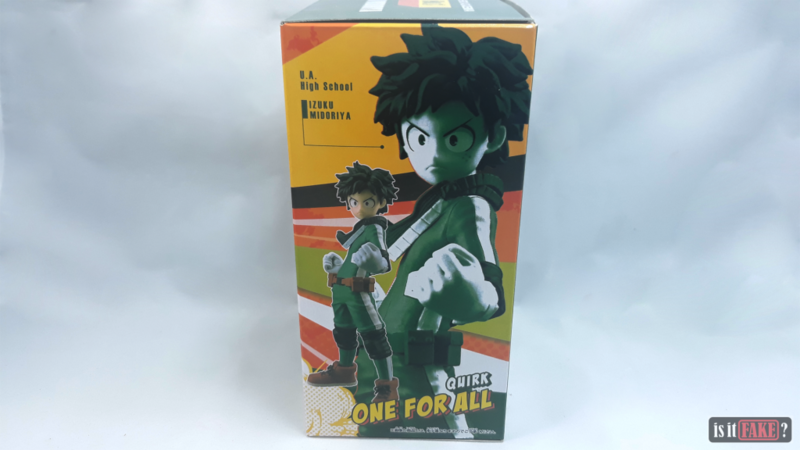 The world where Izuku Midoriya lives in is a place where almost everybody has superpowers which they call quirk. The superheroes, who Midoriya admires, are innate in the society and are considered as professionals, just like how lawyers and doctors are. 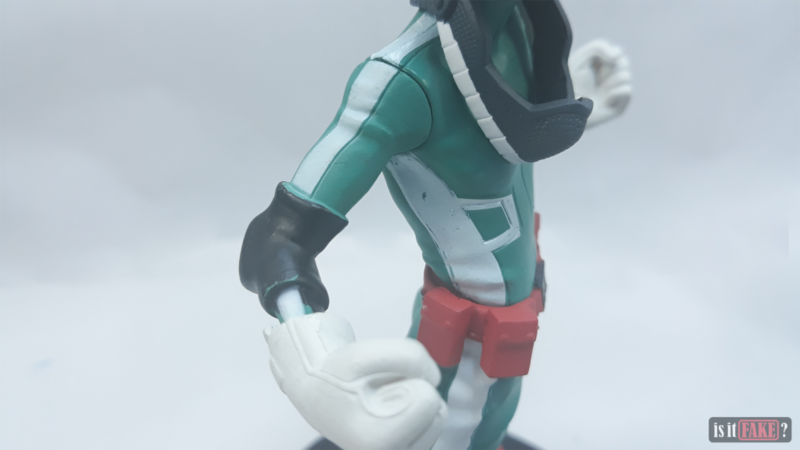 As much as this protagonist from the anime series, My Hero Academia, is knowledgeable about iconic heroes, the quirkless lad still hopes for his quirk to awaken even at such a late age. His life gets a full turn when he meets the “Number One Hero”, All Might. 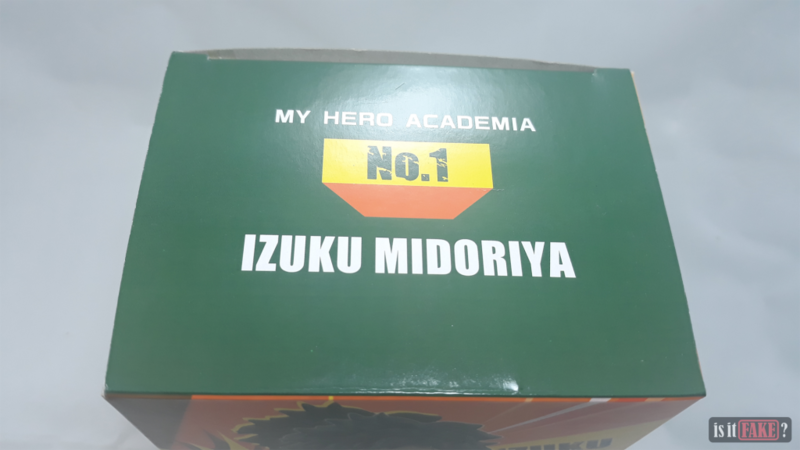 In line to be one of the next powerful anime characters, Izuku Midoriya holds a promising spot with the growing popularity of My Hero Academia. The anime have already delivered three seasons and there are more to come as the manga still progresses. Indeed, it’s quite an interesting story to tell and it’s certain that bootleggers are eyeing on this opportunity. 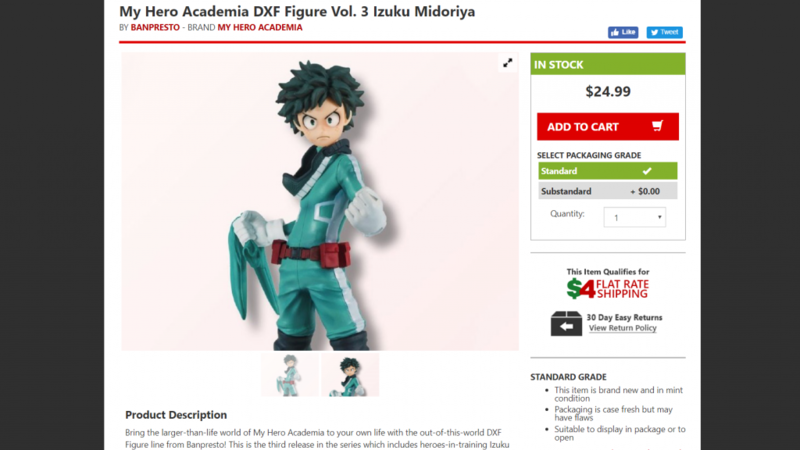 If you’re a figure collector, most probably, you’ve already seen a fake DXF Izuku Midoriya figure from shady websites. 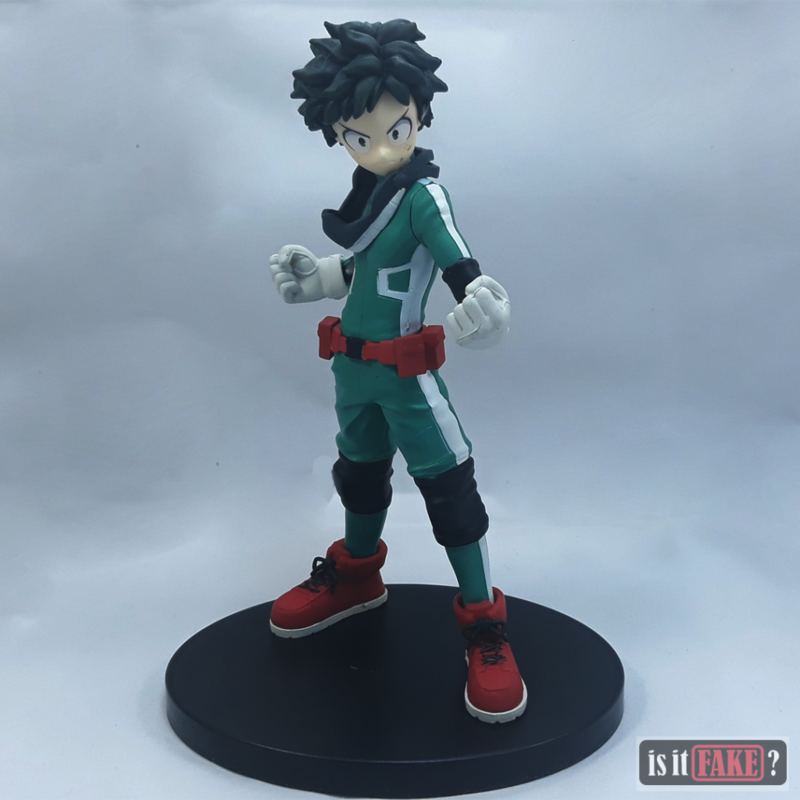 If you’re going to buy anime figures, AliExpress is definitely NOT your website of choice. 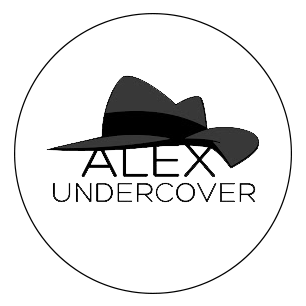 It’s easier looking for bootlegs in this website than the actual real deal. Real items would be just edible mushrooms in a very dark forest. Many counterfeit items are made in China, needless to say, but what makes up the hefty amount of these items are made by people who blatantly steal, and will shrug off this idea with a laughable excuse. While that excuse involves giving praise to official manufacturers, there are notorious vendors like PonyoCabin Store who makes a profit from that chain of illicit operation. It might be alarming that a lot of bootlegs are rampant. 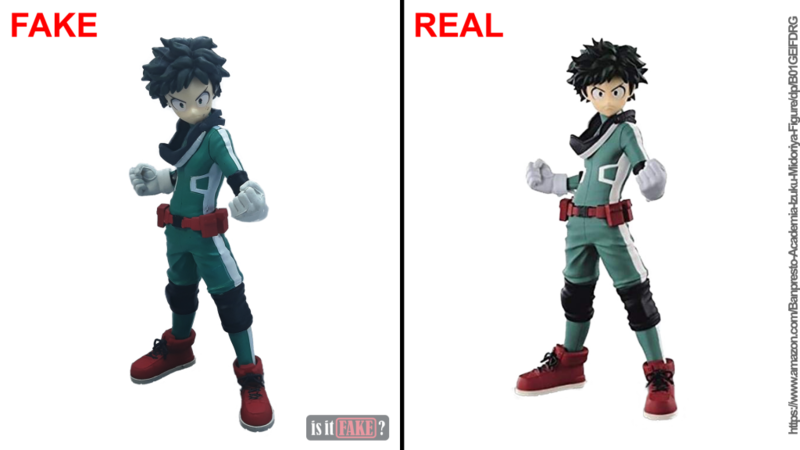 However, most fake anime figures are easy to spot especially if you’re one who watches the anime. 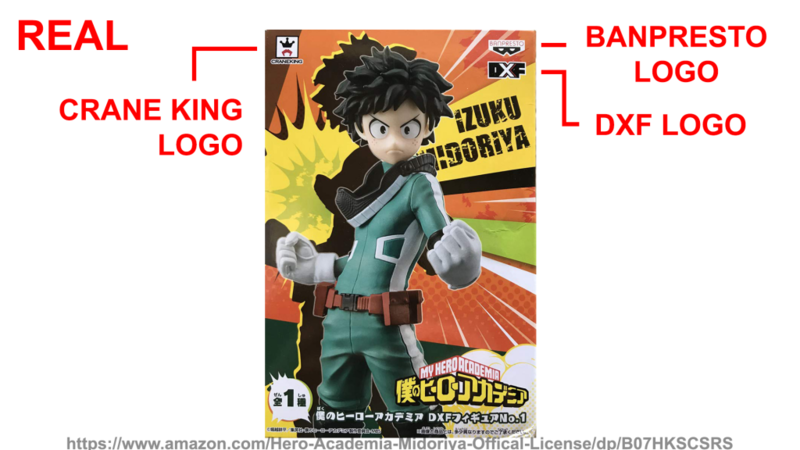 Flaw by flaw, we’ll be looking into this fake DXF Izuku Midoriya figure! 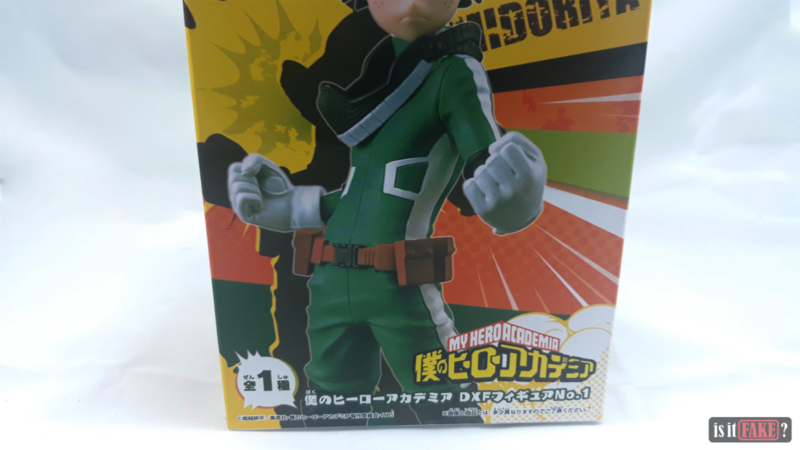 The fake DXF Midoriya figure arrived with a thin, flimsy box. To be fair, it does hold the fake figure well inside so at a far glance, it can fool an unwary victim. Everything seems natural for the box. 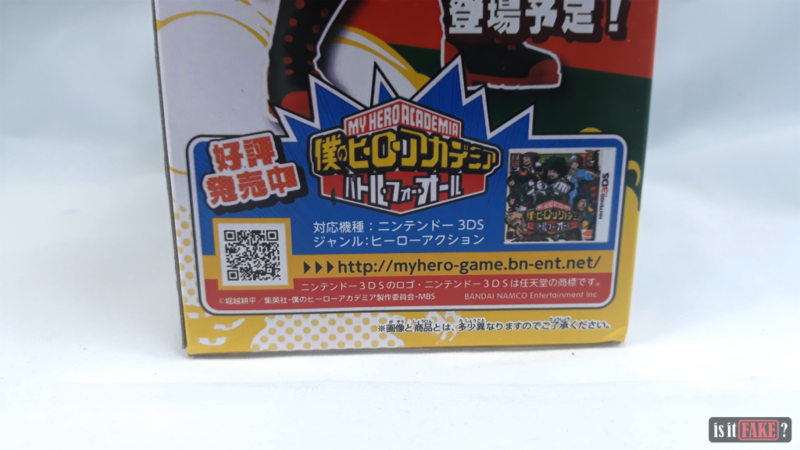 It has images of the figure, the texts are in Japanese, and there’s even a QR code which looks like a promotion of a game-adaptation of the anime on a gaming console. With a closer observation, however, the images seems to have a faded color and there’s a noticeable loss in resolution – which is not a surprise. 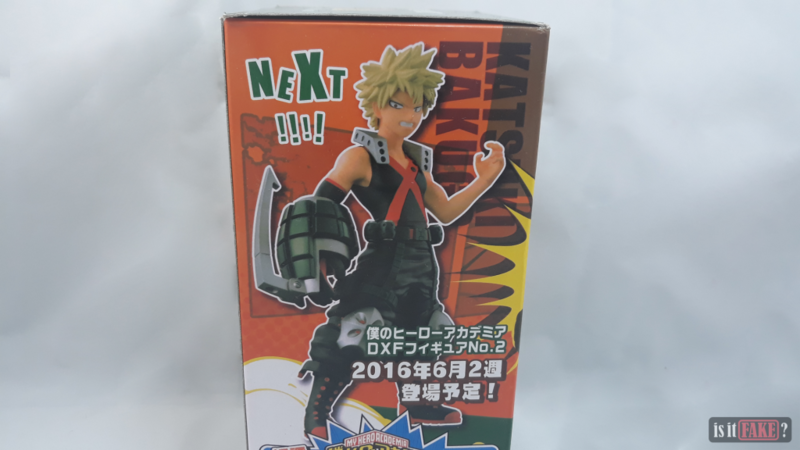 Aside from the box’s image quality, it’s missing a few important logos from the manufacturer, Banpresto. 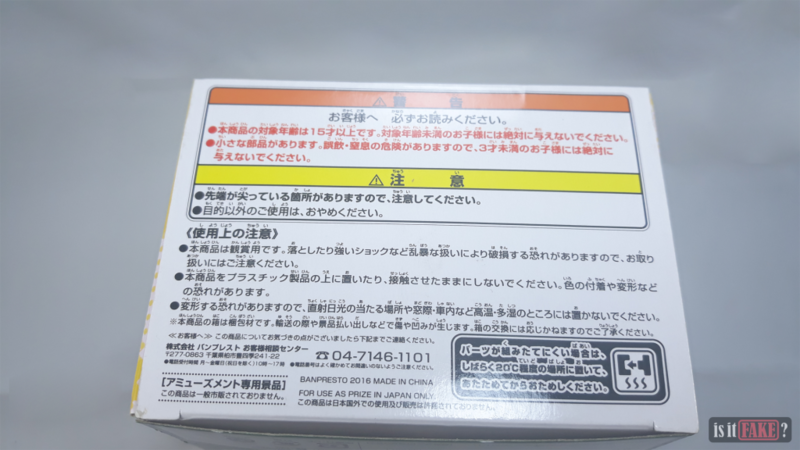 As a DXF figure, the logos of a real DXF packaging has Banpresto and DXF on it. In addition, a prize figure from Banpresto has a Crane King logo on its box. 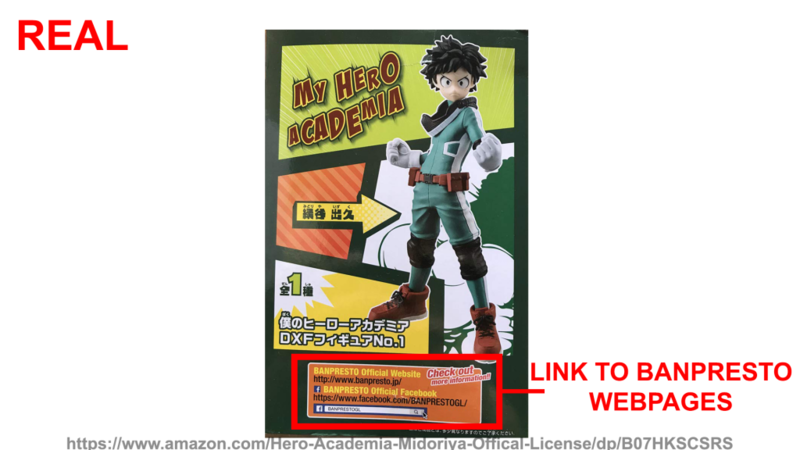 And specifically to My Hero Academia figures, an authentication sticker from the anime’s licensor, Toho Co. Ltd., is found on the box. 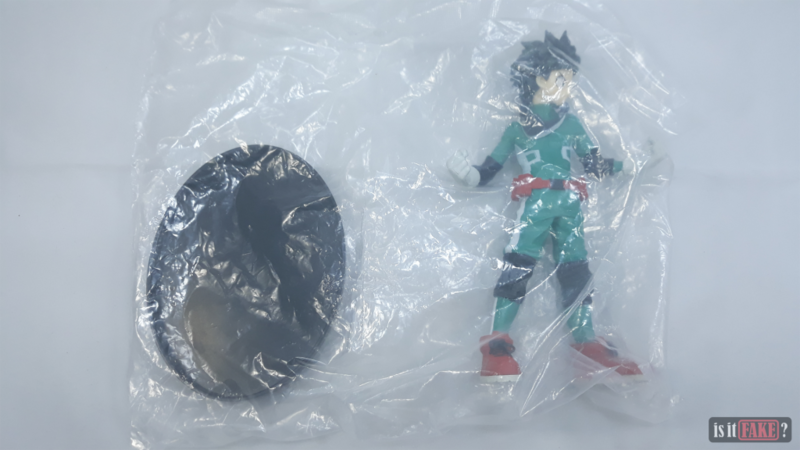 Inside the box is the fake DXF Izuku Midoriya figure found in a sealed plastic. 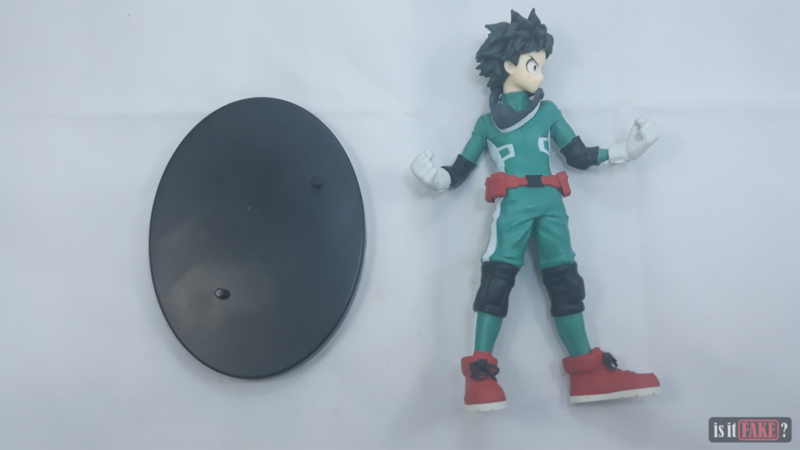 As for every fake figure, we would always check how it fits the base and for some reason, it does but with a slight adjustment because of the odd measurement of the base’s tips. Flipping the base on its bottom, however, shows a red flag. 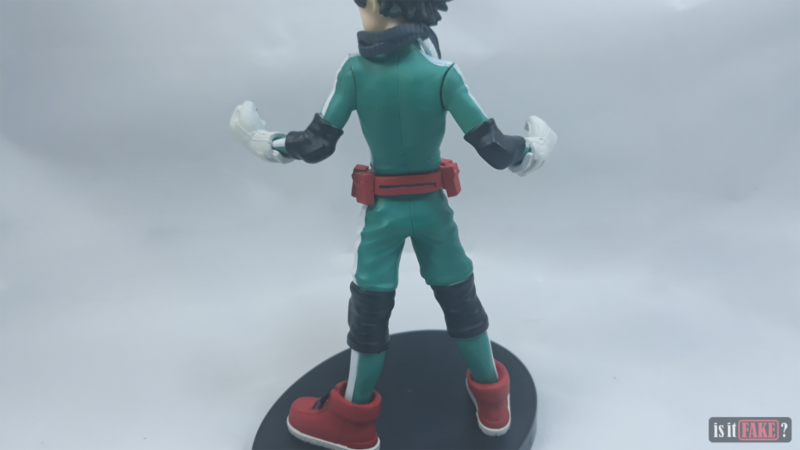 The real DXF Izuku Midoriya – No. 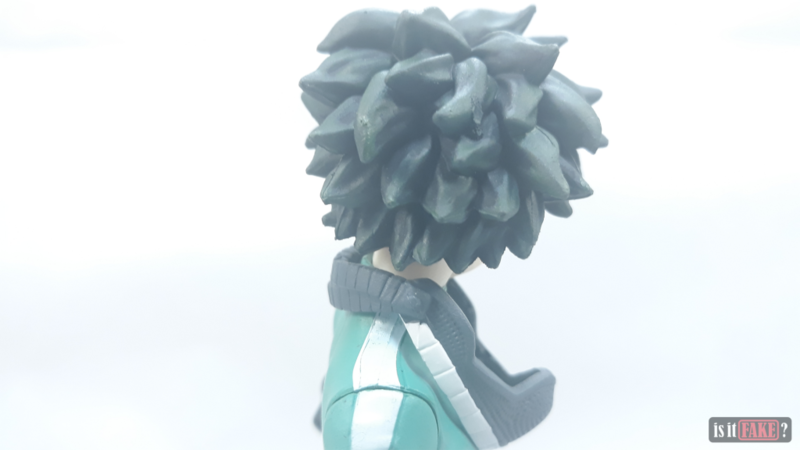 1 figure was released in the year of 2016. 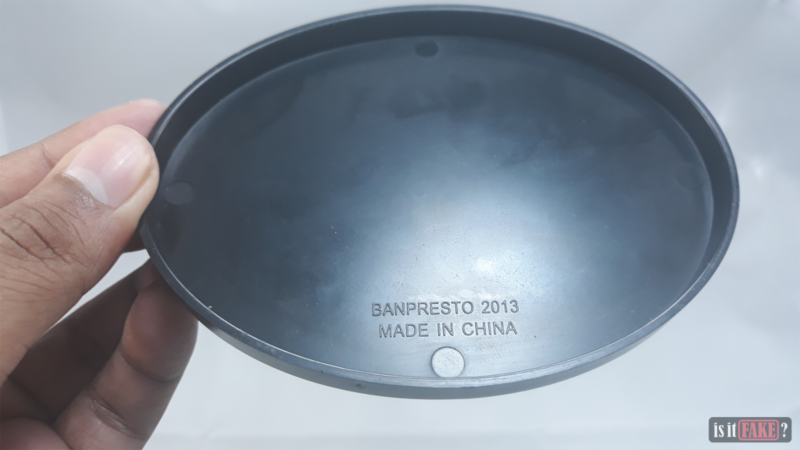 Oddly enough, the fake figure’s base states otherwise as “Banpresto 2013” is imprinted under it. 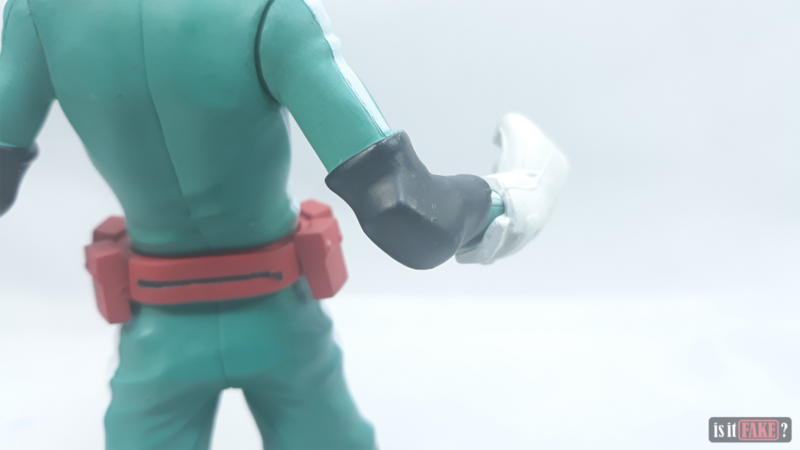 Though it may just be irrelevant to the figure’s release date so we’ll be taking a closer look at the figure itself to thoroughly assess its defects! 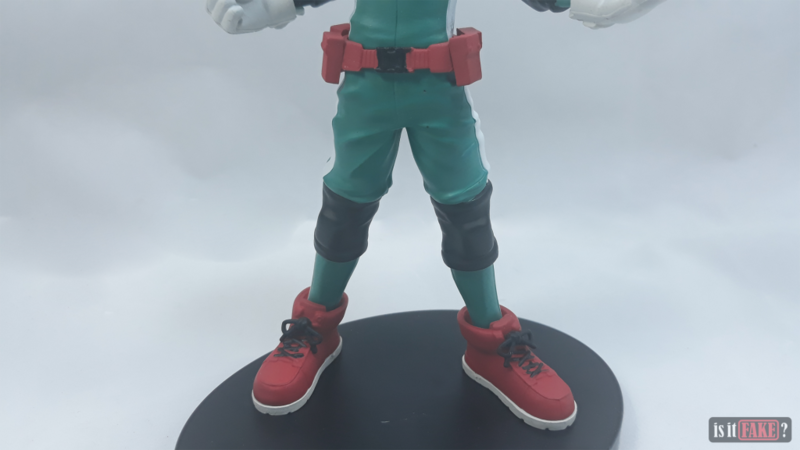 The fake DXF Midoriya figure has a matte finish and its appearance is utterly deceiving as it does give a vibe of Izuku Midoriya’s hero persona, Deku. The color shading of his uniform looks on point, and the brace on his neck fits just right. Just the elements needed by fake figures to fool as many victims as it could. 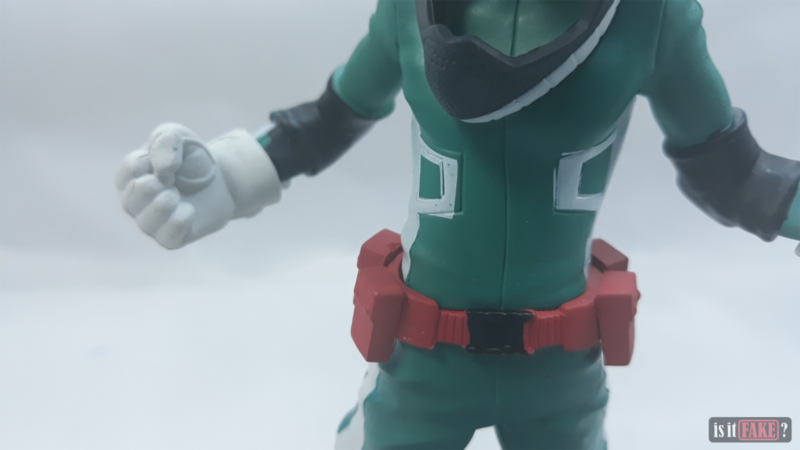 Starting on its head, its face looks pale and upfront, there are noticeable damages which obviously isn’t supported by Banpresto since it’s a fake figure. With a quick turn, the hair has a melted portion that’s annoying enough. Moving a little bit below, there are a lot of faded white paint on its uniform, not to mention the misalignment on the design. Expectedly, scratches are present on its upper body. 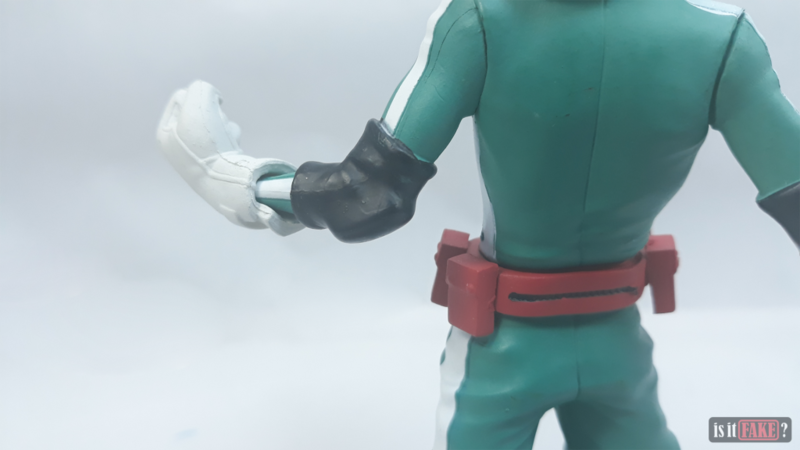 If that doesn’t irk you, a quick stare on its gloves makes you wonder what kind of paint was used on this figure. 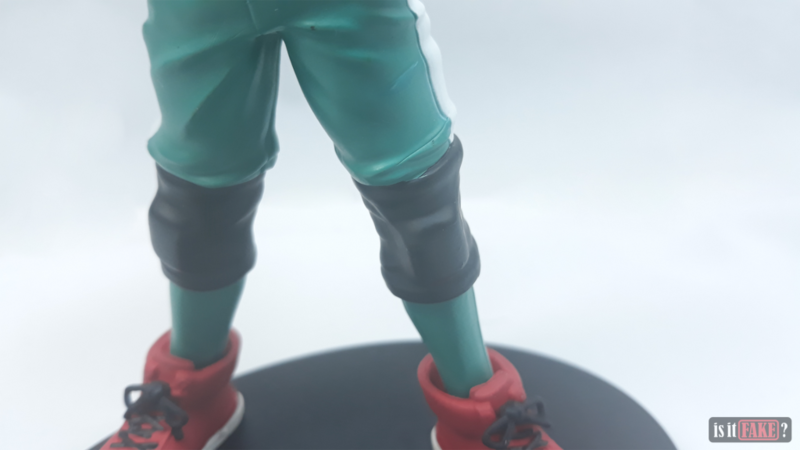 If you think everything’s fine with the fake DXF Midoriya figure’s lower body, then you’re in for another disappointment. 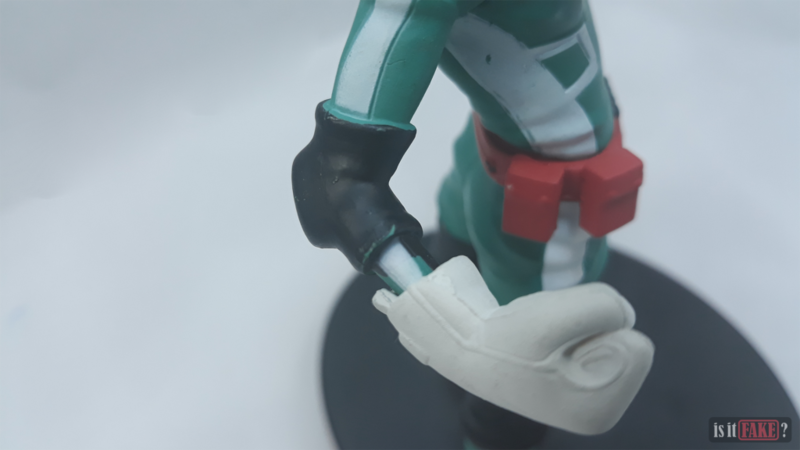 Imperceptibly, the paint job on the fake figure’s knee pads got some lapses on it. 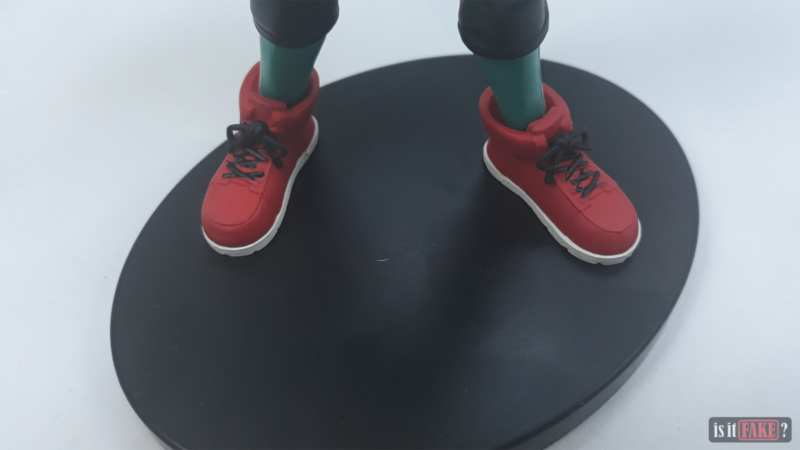 It may be hard to notice, but looking over the shoe laces would give you this feeling that the bootleggers did not have enough time to finish painting the figure. Surely, they’re rushing in just to make dirty money. 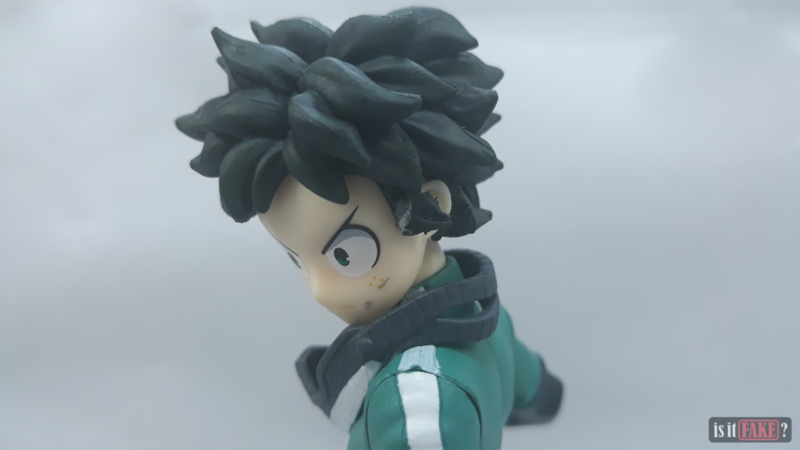 Finally, a glance on the real DXF Izuku Midoriya – No. 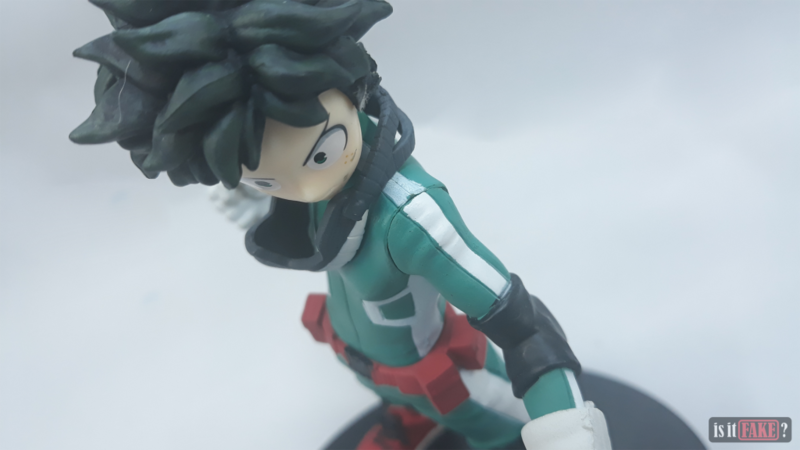 1 figure gives us a breath of fresh air for its stunning quality. Although similar to the fake figure’s matte finish, the paint job on the real deal is just on point. More importantly, there are no damages on the real one unlike the bootleg. And if such a case happens on a real figure, worry not, as you’ll most likely be covered with a warranty. 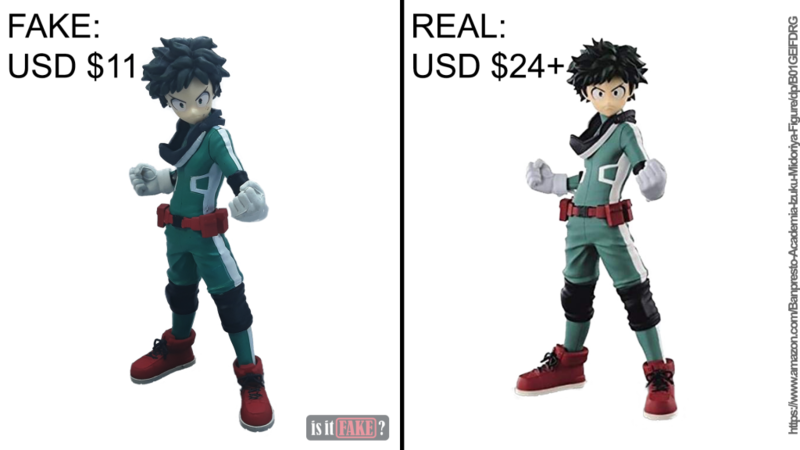 Unlike real, authentic figures, bootlegs are neither covered by bootleggers nor official manufacturers, especially. Defects say a lot about their price, and cheap doesn’t mean you can save money. 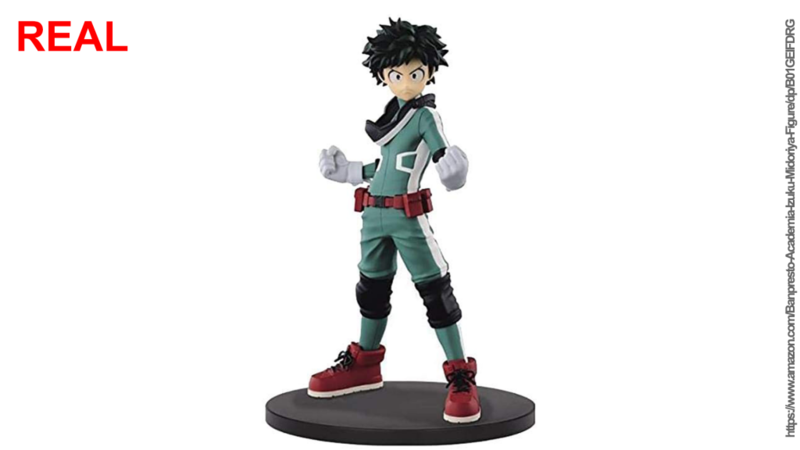 Better keep your $11 and save it until you could already get the real Banpresto DXF Izuku Midoriya figure for an affordable price of $24.99! It’s already unbelievable that a trainwreck of a bootleg could cost $11. Believe it or not, you’re better off saving it until you could get an authentic figure that’s worthy of your taste. You won’t only get the best of its value but you’ve also freed yourself from harmful toxicity that bootlegs have. 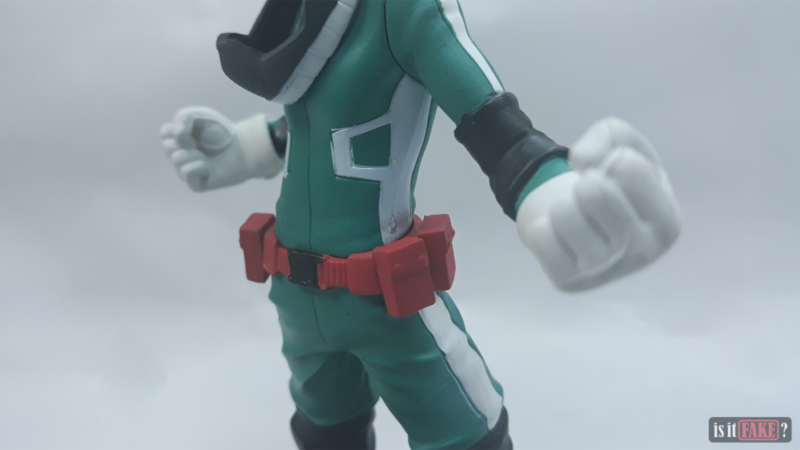 Nevertheless, the real Banpresto DXF Izuku Midoriya figure at $24.99 is a nice deal considering its flawless quality. 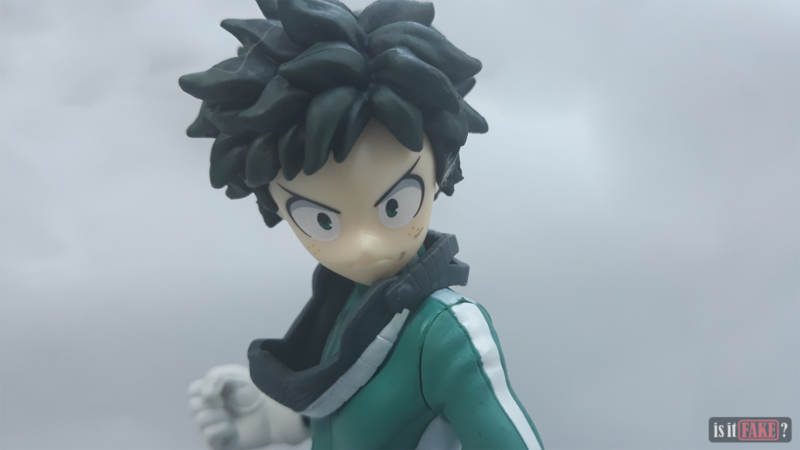 A place where you can find the authentic Banpresto DXF Izuku Midoriya – No. 1 is in Amazon! 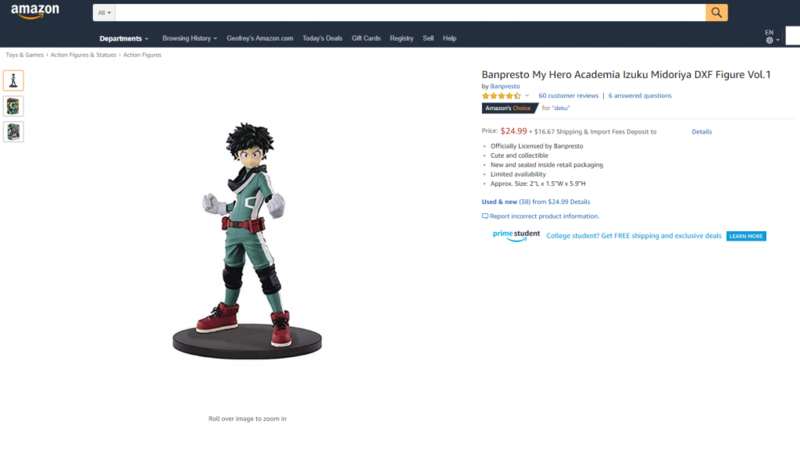 Labeled as one of Amazon’s Choice, the real figure sold by TOYSLOGIC would be a confirmed authentic according to reviews. It’s also convenient since you’re buying it off from Amazon and basing from the description, it’s sealed inside its original packaging so for $24.99, it’s already a good deal. If you’re looking for a better choice than Amazon, the authentic figure can also be found on ToyWiz. 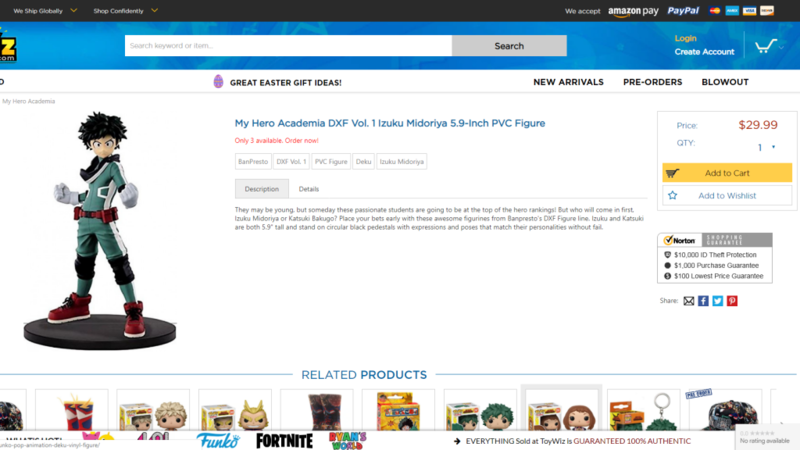 Although for $29.99, ToyWiz is dubbed as the most reliable website to buy toys from especially when you’re living in the US. They also offer international shipping however with a limited coverage of regions. 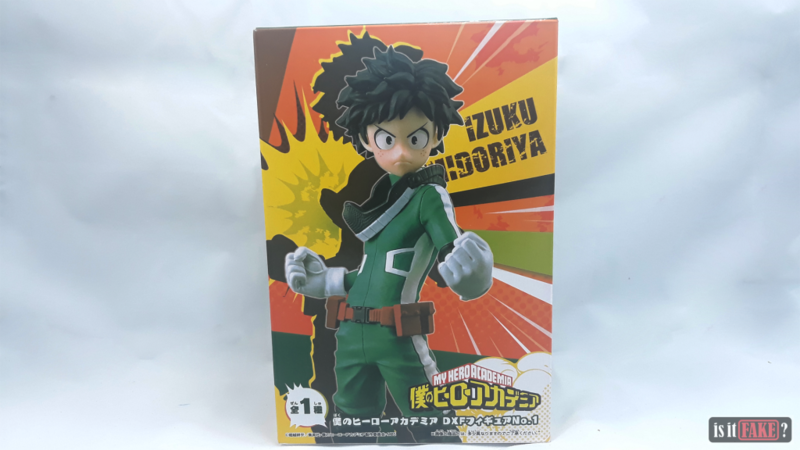 A notable figure of Izuku Midoriya worthy of mentioning is the DXF Izuku Midoriya – No. 3. 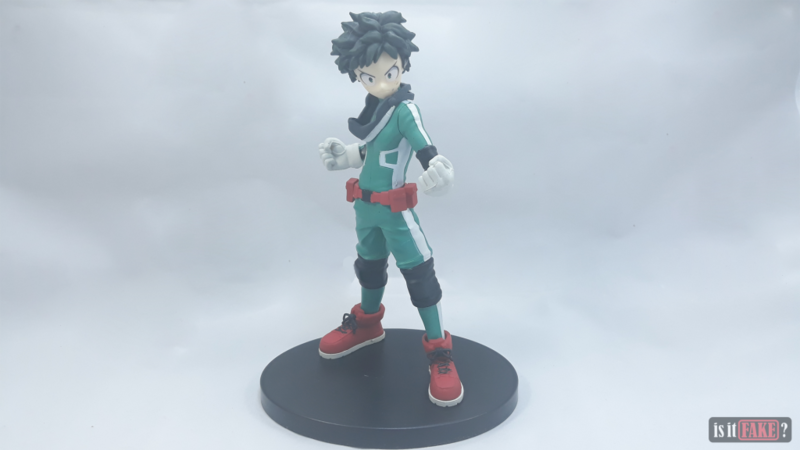 If you want to see Midoriya with a grasp of his full Deku costume on his hands, you may want to go over BigBadToyStore’s stocks for another fresh quality of Banpresto DXF figures. 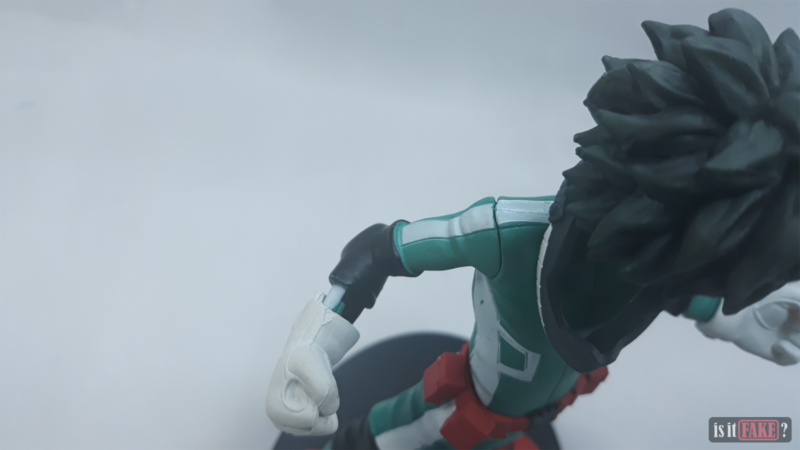 From a fair distance, the fake DXF Izuku Midoriya figure attempted to be the legit figure but failed to do so. It plainly disguised itself with inattentive details and a wreck of a paint job. 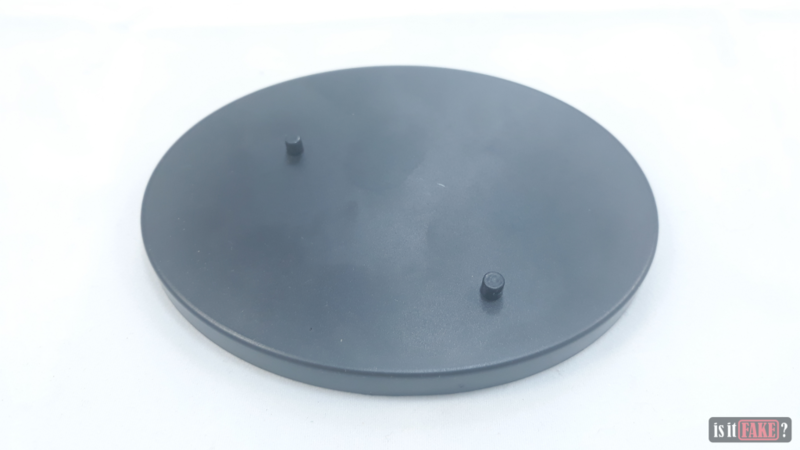 It also barely presented itself with a cheap cardboard box that brought an awful impression and at the same time, a sign of relief which tells you that you shouldn’t spending anything for this cheap replica. 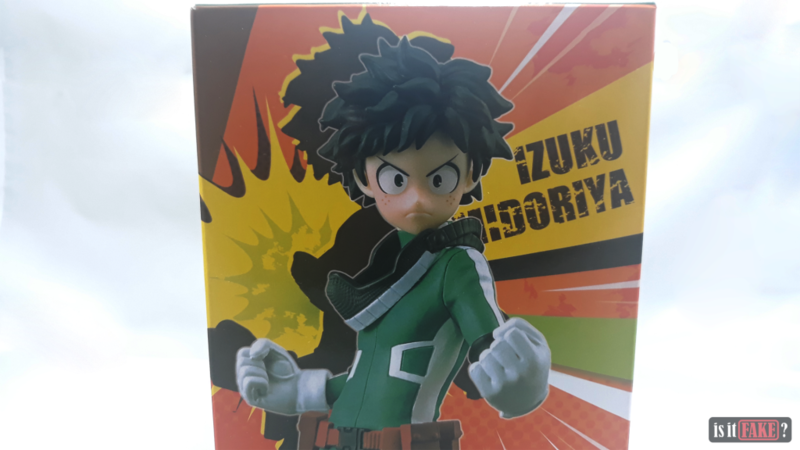 Also from a fair distance, we see Izuku Midoriya hurling a strong punch that yells SMASH!! Afterwards, our part would come to give this fake figure a 60% terrible rating. 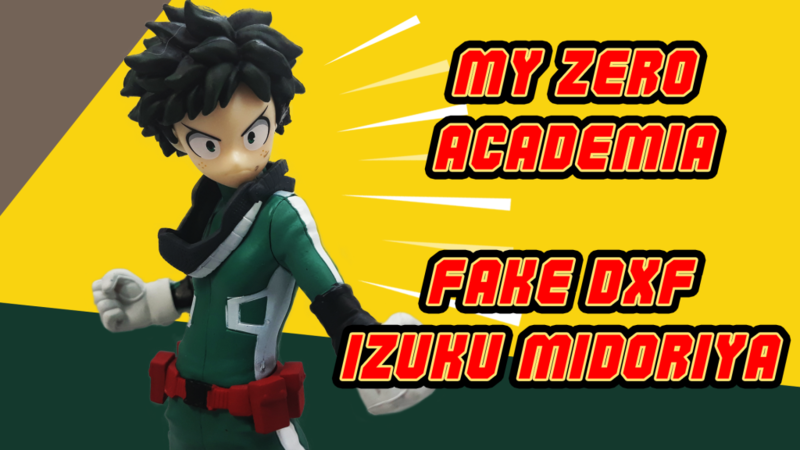 Watch how we unboxed this fake DXF Izuku Midoriya – No. 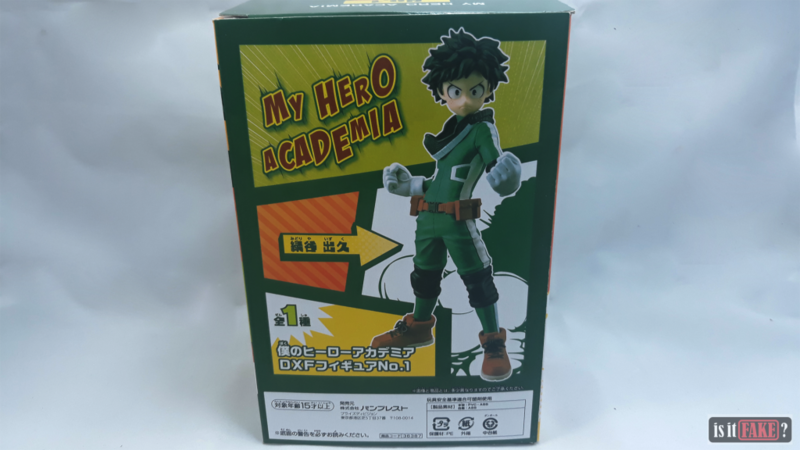 1 figure and be more wary with bootlegs on our Youtube channel. Don’t forget to leave a like, comment, and subscribe!